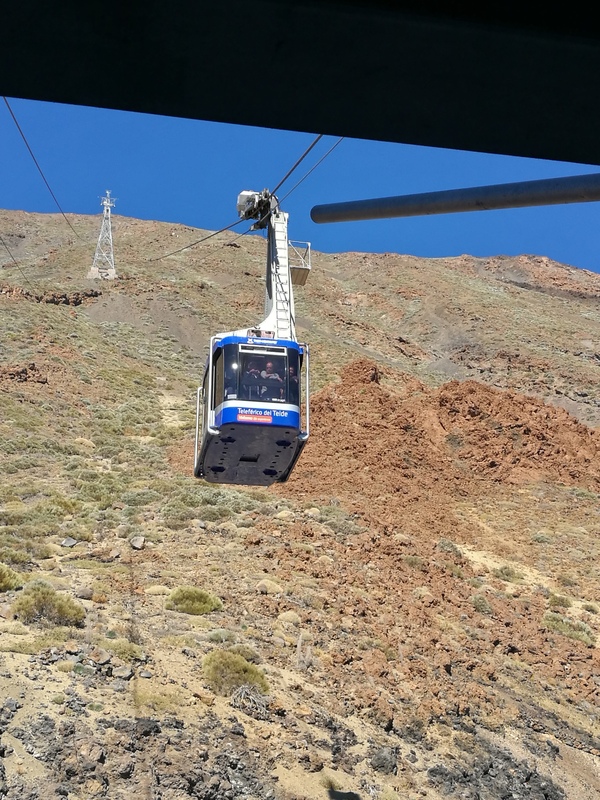 As if one Spanish trip wasn’t enough, we decided to add another one, this time to the Canary Islands! We took a mini vacation to Tenerife! 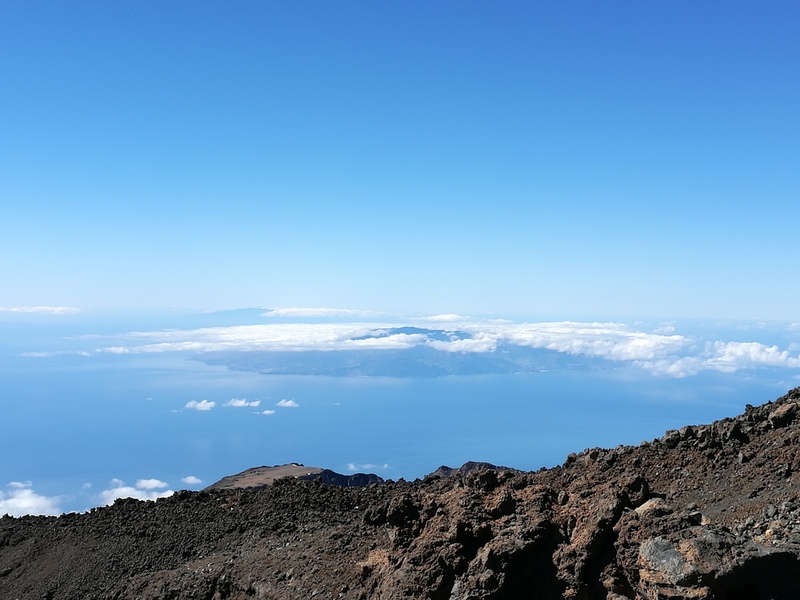 I’d never been this far south, and Tenerife is such a beautiful island, with palm trees and the Teide rising up in the centre. We stayed on the South side of the island in a beach hotel. We were very close to all the restaurants and shops, and there is a beautiful walk along the beach. We flopped on a lounger straight off the plane and then planned to have dinner like a local. Except, you know, it’s hard to find local food in a place full of tourists. We had to walk quite a bit until we found one restaurant that didn’t have their menu in pictures and translated 17 times. But it was worth it! We had some excellent croquetas and great fish. 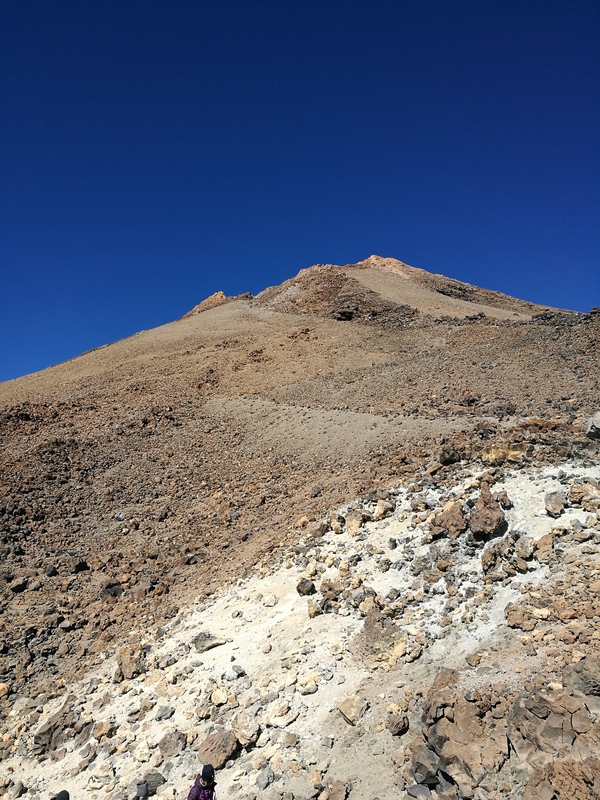 The next day we drove up the Teide in our cute little rental car (I love a Golf) and let me tell you, it’s an awesome ride! All twists and turns, it’s oddly enough covered in cherry blossom trees! The higher you get, the more ruggid the landscape becomes. Eventually you feel like you’re driving on Mars, if indeed Mars had decent roads. To get to the top, you have to take a cable car, so we parked and made our way up to the ticket office. I was out of breath in less than 2min. The air is so thin there, it’s like you ran a marathon up there. I’m not usually afraid of cable cars, but once this one had passed the first pole, I started hanging on for dear life. It feels like a massive dip (think turbulence on the plane) and you’ve got 5 or 6 poles all the way up! But everyone in the cabin yells “ooooh and aaaaah” so it’s also great fun. Once you’re at the top, there’s snow! And the view… OMG it’s so worth it. You can take a walk around the peak, and the most courageous (and better equipped) can even get up to the very top. It smells of sulfur (duh-volcano) and the wind blows you off your feet. We stumbled about and took one picture after another. We must’ve walked about half, then decided to turn around and go back down. 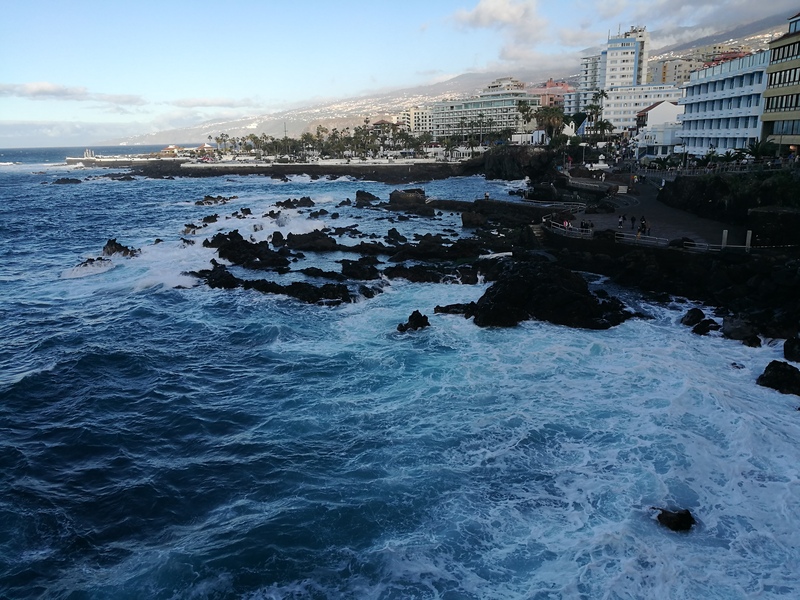 We wanted to drive to Puerto de la Cruz, where my parents once stayed. 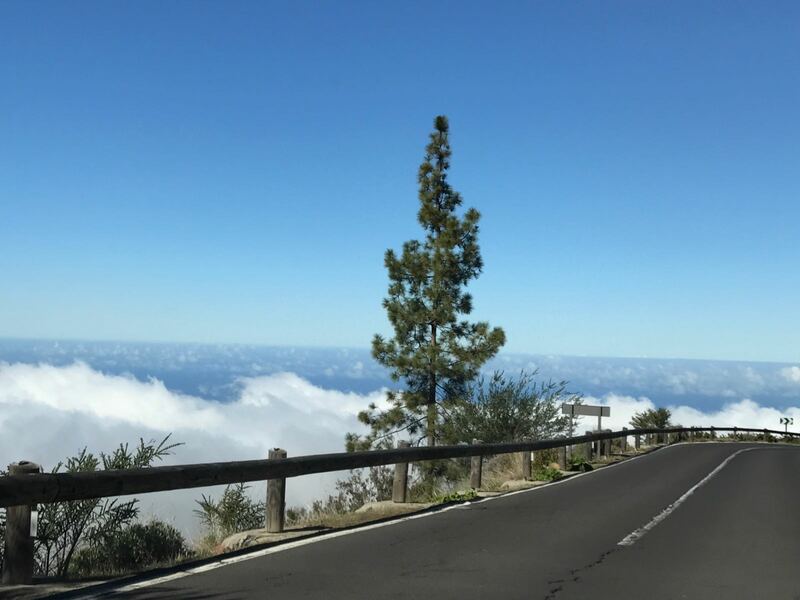 The drive down is also quite beautiful, as a wall of clouds suddenly appears out of nowhere and covers the view, as if it wanted to hide it away from you because it’s so pretty. 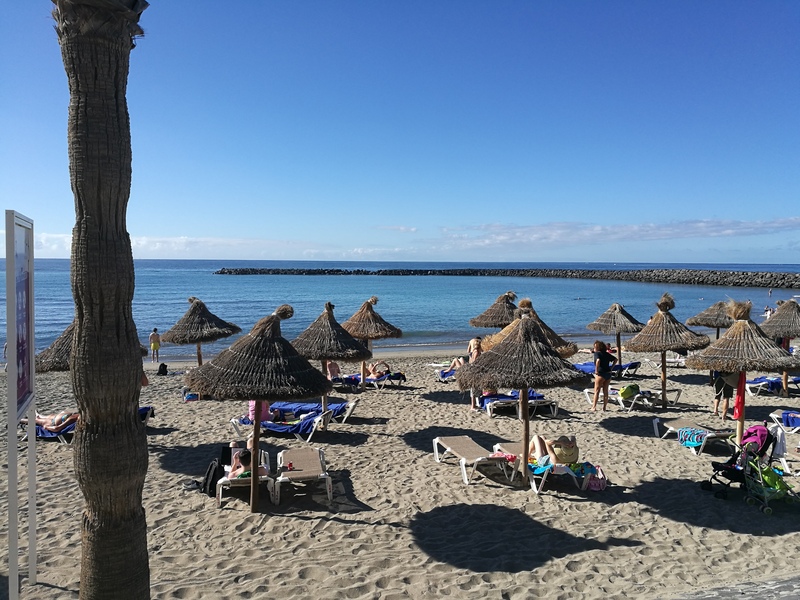 Puerto de la Cruz is a picturesque little port, which in the past 20 years it seems has turned into another touristy town full of hotels and casinos. We walked along the sea and sat in a square eating ham and baguette and ice cream. Back on our side of the island, we had a night-time wander along the large boulevards. There’s an hourly fountain display with lights and music, and we went and had Italian food in a place that had a live singer. In February it’s around 20°C and it’s so nice to be able to walk around in a T-shirt when it’s still sleeting back home. 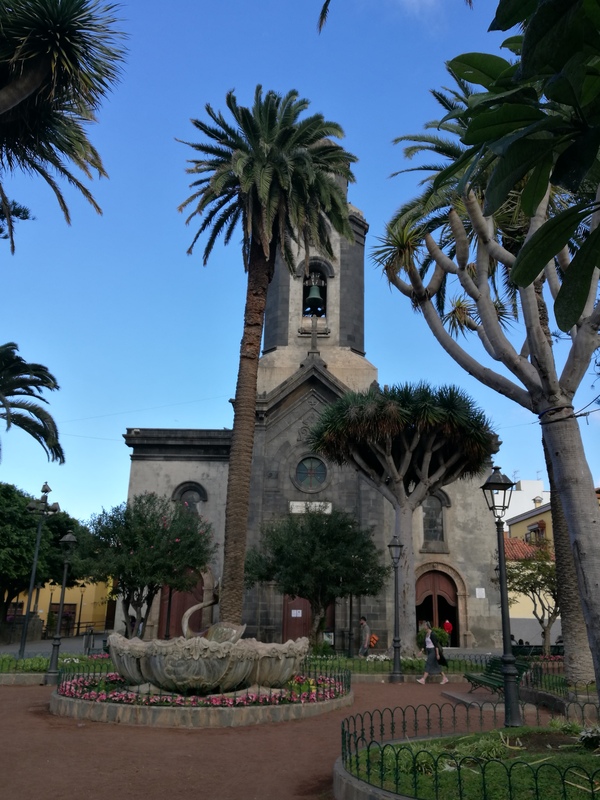 Tenerife is a lovely place to take a break, but it’s not anywhere you’d go to experience Spanish culture. Theres are so many Germans and Dutch and Brits that you barely hear a word of Castillan spoken. But the nature is beautiful and sometimes you just need to get away and disconnect. 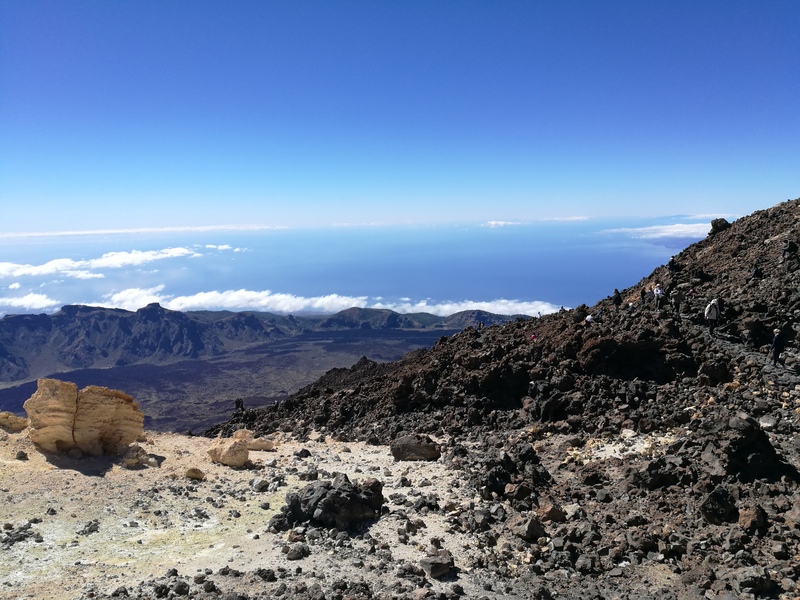 Tags: Canary Islands, spain, Teide, Tenerife. Bookmark the permalink.